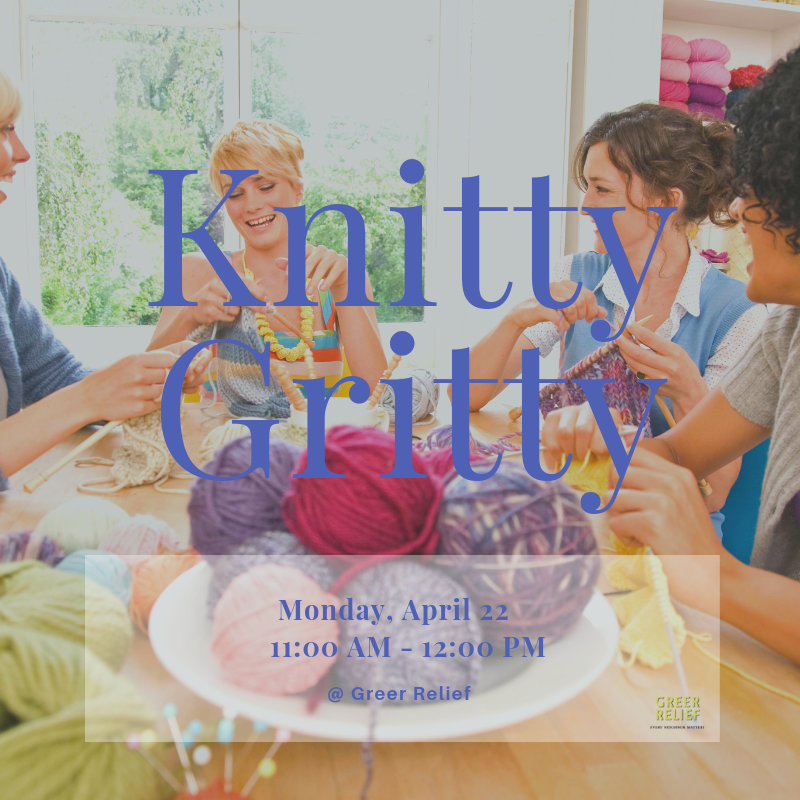 Get down to the ‘knitty gritty’ with Krista from Yarn & Y’all. 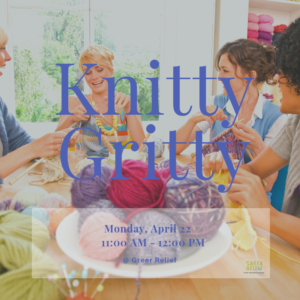 This will be an hour long session of knitting on Monday April 22 from 11:00 AM – 12:00 PM at Greer Relief. Only those 18 and older are eligble for RENEW Rewards. Register here.